In response to the most tragic day in American history, we as a country turned to TSA to protect us as we traveled. And every day since, they've kept us safe. They've stood on the front lines risking own safety to make sure we could fly free of fear again. But as lines have swollen and passenger anger grows, privatization has become a cause celebre for small government politicians and pundits. Unfortunately for this short-memoried crowd, replacing skilled Transportation Security Officers with untrained amateurs will do nothing to shorten the lines. Instead, it will just make air travel more dangerous. Prior to 9/11, all U.S. airports had privatized screeners guarding our airports. They were, for the most part, low-rent, inexperienced amateurs with no background in security operations. In response to four planes being hijacked and used as weapons, the American people told President George W. Bush, and his Republican-led Congress that we deserve more protection. They listened, and the Transportation Security Administration was born. Their charge was simple - allow Americans to fly safely again. As a result, all but six airports handed over security to the trained professionals at TSA who have continued to keep us safe to this day. Since turning security over to TSA 15 years ago, some airports have opted to privatize again under the Screening Partnership Program. Their effectiveness - or more appropriately, complete lack thereof - serves as a vital cautionary tale as the push for further privatization gains steam. In September 2014, Orlando's Sanford International Airport transitioned to private screeners. Just days later, there was a serious security breach when inattentive, untrained screeners allowed a civilian to enter the terminal unscreened. Just two weeks after that, Sanford screeners failed to confiscate a steak knife in a passenger's carryon baggage, allowing it to pass through to the secure area of the terminal. Thankfully neither incident resulted in catastrophe, but both could have been easily prevented by a federally-trained TSA officer. Late last year, four Montana airports cancelled their agreements with private screeners when it was found they were "not able to meet requirements that were set forth in the contract," according to TSA. This breakdown came not long after Sacramento County's Board of Supervisors voted against a pre-existing agreement to privatize Sacramento International Airport, opting instead to keep security in the hands of federally-trained TSA Officers. 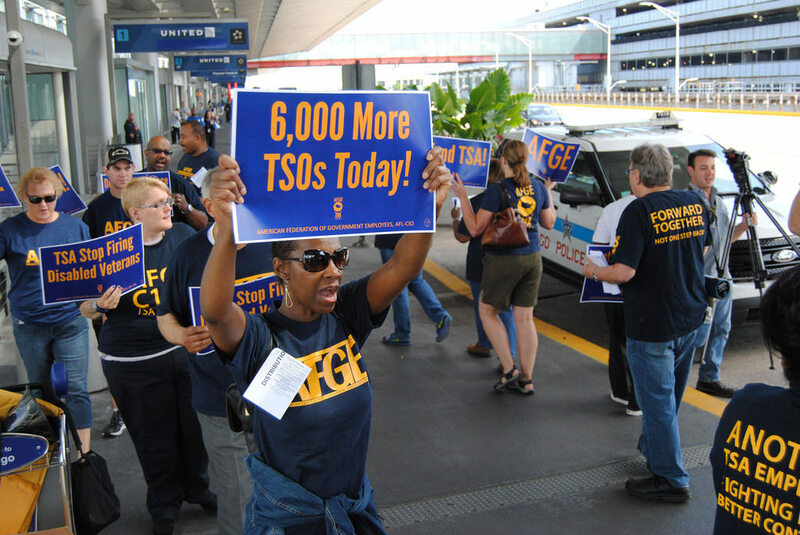 What often gets lost in the privatization discussion is that the long lines have nothing to do with TSA's ability to do the job; rather, it has everything to do with a growing imbalance of passengers and screeners. Over the last seven years, passenger volumes have ballooned to new highs while TSA employment has continued to fall. Making matters worse, Congress is pillaging TSA's cash flow by diverting $1.2 billion each year to pay down the federal deficit. 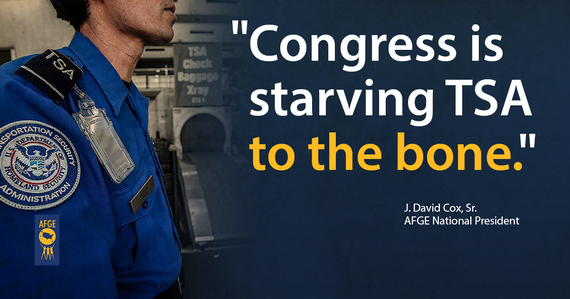 Congress is starving TSA to the bone, and the public won't stand for it any more. Despite a perpetually-understaffed workforce and increased workload, TSA Officers discovered a record 2,653 firearms at security checkpoints in 2015 - a 20 percent increase from 2014. And just last month, TSA Officers discovered 74 weapons, 65 of which were loaded. If the current trend keeps up, 3,000 firearms will be confiscated by the end of 2016. And that doesn't even include the thousands of knives and other dangerous weapons that were removed from passengers' luggage. The results are clear: TSA works. Their decade and a half of good work cannot be swept aside because they've been starved of the resources they need to get the job done right. Instead, TSA Officers should be given the resources needed to screen passengers safely and quickly. We simply cannot risk a return to the non-professional pre-9/11 security system that failed us 15 years ago.